Emma is the Finance Director at TBWA\WorldHealth. She balances the financial needs and expectations of our clients while sustaining a successful business model to evolve in this ever-changing environment. 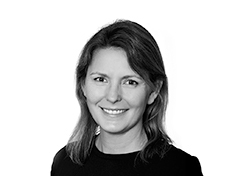 Emma has 20 years of industry experience coming from Ogilvy, Rapp, and TBWA. She has worked with clients across a multitude of industries, ranging from luxury car brands, charities, financial services, and beauty. Working in healthcare communications has been a great experience for her, working with some great minds with brilliant ideas.